The New York Court of Appeals ruled that the Albany County District Attorney’s Office (ACDAO) can continue its criminal prosecution of a Florida compounding pharmacy. Signature Pharmacy was accused of illegally distributing anabolic steroids and performance-enhancing drugs (PEDs). The decision is the latest in an ongoing legal saga that began with a sensationalistic raid of the Signature Pharmacy headquarters back in February 2007. 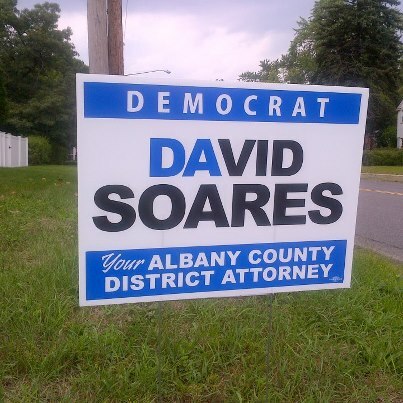 David Soares, the district attorney for Albany County, is now free to continue his prosecution of Signature Pharmacy. Albany County Judge Stephen Herrick had stopped the ACDAO from pursuing Signature Pharmacy citing “demonstrable potential for prejudice”. The New York Court of Appeals uanimously agreed that Judge Herrick exceeded his authority by dismissing the steroid case. Judge Carmen Beauchamp Ciparick explained the legal basis for the decision. Signature Compounding Pharmacy was the center of a multi-state steroid scandal. Soares gained international publicity as the names of celebrity clients who used Signature Pharmacy were leaked to the press. Numerous professional athletes, including pro bodybuilders, and Hollywood entertainers were identified as steroid users. Soares’ decision to fly across the country to prosecute a Florida-based pharmacy was highly controversial among his constituents. Soares justified the investigation based on the fact that, in addition to shipping steroids to celebrities around the country, Signature also shipped steroids to residents of Albany County. The steroid investigation was called “Operation Which Doctor”. While the primary target was Signature Pharmacy, the investigation also indicted various medical doctors and longevity clinics. A total of 17 convictions have come as a result of Operation Which Doctor. However, the operators of Signature Pharmacy have thus far been able to thwart prosecution through various legal challenges.